Sometimes, you may be looking for ways for delaying your period; what is also known as menstrual manipulation. This could be for a number of reasons; such as that you are planning to take a trip somewhere, there is an important occasion for which you want to be unencumbered by your period, or your wedding date was set months in advance but now it’s getting near it may clash with your period etc. You may even have an important exam, athletic event or similar reason you may want some delay of your period. In these or a number of other cases, you may be in a position of wanting to delay your period so it is important to understand how one can safely do so. 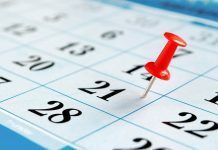 Firstly it is important to understand that delaying your period is not a recommended activity; this is not something you should do routinely or unless it is really important for you to do so. Also a regular and predictable cycle is something that has its own practical benefits, which one needs to remember. 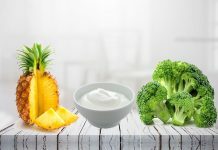 There is one view that natural remedies will help you with delaying your period, but there is no conclusive evidence to support this claim that changes in diet can help with this. There is anecdotal evidence that parsley tea could help induce ones menstruation, or that eating certain spicy foods could do the same. It is also suggested that one hold off eating these items to delay getting your period. Stress or starvation can also delay periods which are of course not at all recommended. Also, these methods are highly unreliable; there is no way you can be certain that they will work, nor is it clear how effective they will be for how long. The only really dependable way of delaying your period is through the use of birth control pills. This can be done by using the usual 28 day cycle birth control pills, by either starting them mid cycle or consuming the pills for longer than the 21 days. This however should always be done under medical supervision so if you are planning on delaying your period by this method, be sure to speak to a doctor about how to go about it. 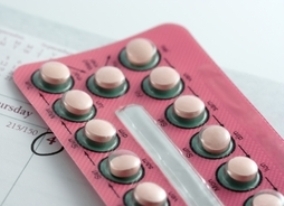 There is also available a 91-day oral contraceptive regimen designed to give you only four periods a year wherein active pills are taken for 84 days followed by getting your period. There is also available a low-dose extended-use combined oral contraceptive which will give you no period for a year. If you decide on any of these methods for delaying your period, be sure to speak to a medical practitioner for advice before starting.